This week we look at how to create a Neo4j powered Alexa bot, analysing the Neo4j community on twitter, and a write up from the life sciences and healthcare workshop. 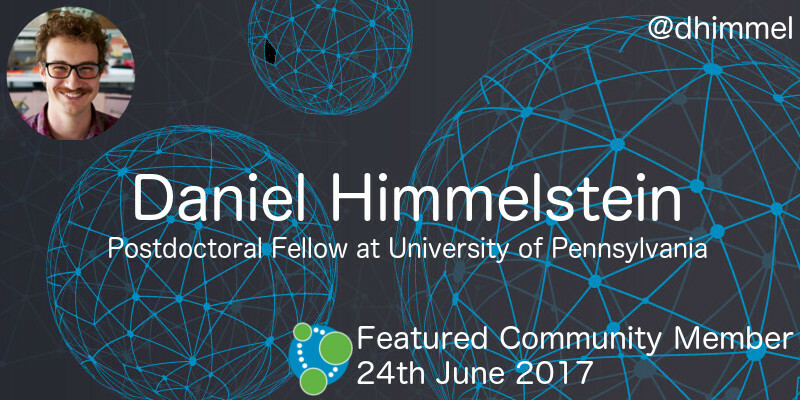 This week’s featured community member is Daniel Himmelstein, Postdoctoral Fellow at University of Pennsylvania. There’s a hosted Neo4j instance including a walk through guide, which you can play with at neo4j.het.io and Daniel spoke about Hetionet at GraphConnect San Francisco 2016. Daniel has appeared interviewed on the Graphistania podcast and recently launched cognoma in collaboration with the DataPhilly and Code for Philly meetups. This project puts machine learning in the hands of cancer biologists. On behalf of the graph and biology communities, thanks Daniel for all your work! Often invisible to the people outside of the field, life-science researchers have been embracing graph databases instead of the traditional triple- and relational-stores. This week Petra Selmer and Michael Hunger invited life-science and healthcare researchers and practitioners to Berlin to share their experiences in a full day workshop. And a full day it was: 11 planned and 3 ad-hoc presentations and 2 longer workshops, covering everything from genome, proteome, pathway and systems biology model databases and interactions to actual drug development efforts and plans for improving healthcare, all with the help of graphs. We were stunned by the breadth of applications and by the enthusiasm and happiness of the presenters. Thank you so much to everyone for presenting, discussing and attending, we will definitely run similar events elsewhere and possibly coordinated with the industry conferences. We will publish a longer blog post about the event and also proper proceedings. Daniela Butano from InterMine.org shared her impressions here. Christophe Willemsen shared the slides from Chatbots and Voice Conversational Interfaces with Amazon Alexa, Neo4j and GraphAware NLP which was presented at the Neo4j Czech Republic meetup last week. In Don’t be a lonely document Ron van Weverwijk shows how to analyse the GraphConnect/Neo4j tags on twitter and discovers that Rik Van Bruggen is the most retweeted person in the community. The IEEE launched Graph Challenge, which aims to provide a well-defined community venue for stimulating research and highlighting innovations in graph analysis software, hardware, algorithms, and systems. You’ve got until 1st July if you want to submit something. Yash Sharma explains how InterMine are converting PathQuery queries into Cypher as part of a a prototype of InterMine which uses Neo4j database at the backend. 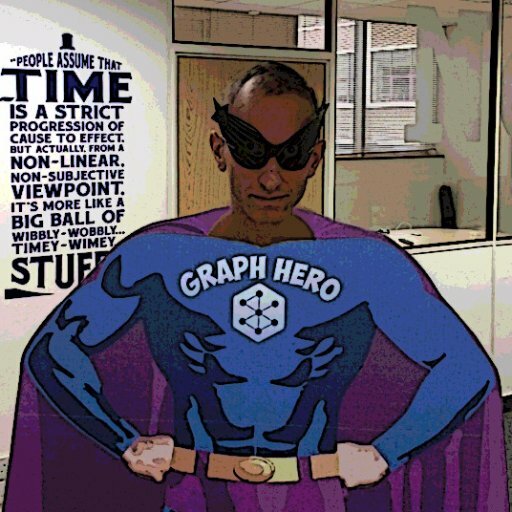 Kevin Tardivel wrote What are the Benefits of Graph Databases in Data Warehousing? in which he talks about the benefits of using graphs for data lineage, data orchestration, data cataloguing, and master data management. In this week’s online meetup Nikolas Pontikos showed us Pheno4J – a gene to phenotype graph database created to make it easier to analyze human DNA and genetic mutations. You can also find the code in the pheno4j repository on GitHub. This week from the Neo4j Knowledge Base we have an article showing how to use Amazon CloudWatch to monitor Neo4j logs. And if you’re planning to deploy Neo4j on AWS, we’ve recently created a guide showing how to install Neo4j using a custom AMI with AWS command line tools. On Wednesday June 28th, 2017 Jhonathan Soares will be presenting an introduction to Neo4j at the NoSQL Sao Paulo meetup. Also on Wednesday June 28th, 2017 Daniela Butano and Jesús Barrasa will be presenting at the Neo4j London meetup. Daniela will explain how Intermine use graph databases to explore biological data models and Jesus will debunk some RDF-vs-Property Graph fake news. On Thursday June 29th, 2017 Luciano Almeida will present OGMNeo – building an Object Graph Mapper for Node.js at the Neo4j Online meetup.